Reigning Masters champion Danny Willett has withdrawn from this week's Arnold Palmer Invitational because of illness. The 2017 Masters begins in three weeks at the Augusta National in Georgia. The Englishman, who won his first major by three shots, is scheduled to play in next week's WGC Match Play in Texas. Willett, the world number 14, said on Twitter: "I've been up all night with terrible sickness. Not ideal but felt it worse to take a spot from the first reserve if I wasn't able to finish." The 29-year-old was replaced in the field at Bay Hill by American Blayne Barber. 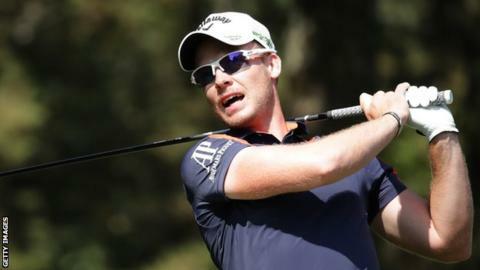 Willett was fifth in the Maybank Championship in February after failing to convert a three-shot lead after three rounds, but then missed the cut in the Honda Classic and was 69th in a 77-man field in the WGC-Mexico Championship. The Arnold Palmer Invitational is being held for the first time since Palmer died last September at the age of 87. Australian Jason Day, ranked second in the world, is the defending champion.